The Trump administration will continue much of the Obama administration's nuclear weapons policy - with the addition of a much more aggressive stance towards Russia, according to the results of a year-long, 74-page "Nuclear Posture Review" (NPR) conducted by the Department of Defense. The administration's view is that Russian policies and actions are fraught with potential for miscalculation leading to an uncontrolled escalation of conflict in Europe. It specifically points to a Russian doctrine known as "escalate to de-escalate," in which Moscow would use or threaten to use smaller-yield nuclear weapons in a limited, conventional conflict in Europe in the belief that doing so would compel the U.S. and NATO to back down, according to AP. "Recent Russian statements on this evolving nuclear weapons doctrine appear to lower the threshold for Moscow's first-use of nuclear weapons," reads the report. Of note, "Russia" is mentioned 14 times in the document. The United States and Russia have in the past maintained strategic dialogues to manage nuclear competition and nuclear risks. Given Russian actions, including its occupation of Crimea, this constructive engagement has declined substantially. We look forward to conditions that would once again allow for transparent and constructive engagement with Russia. ...this review candidly addresses the challenges posed by Russian, Chinese, and other states strategic policies, programs, and capabilities, particularly nuclear. In order to address Moscow's more liberal policy on the use of nukes, the Trump administration has two solutions; 1) modify a "small number" of existing ICBMs carried by Trident strategic submarines with smaller-yield nuclear warheads, and 2) "in the longer term," develop a nuclear-armed sea-launched cruise missile - a weapon that existed during the Cold War but was retired in 2011 by the Obama administration. The rest of the Nuclear Posture Review falls mostly in line with the previous administration's stance, and does not call for any net increase in strategic nuclear weapons. We can't wait to hear how Democrats spin this. Perhaps they'll say Putin is so sneaky that he got his "puppet" Trump to beef up US nuclear defenses against Moscow! On January 27, 2017, in one of my first acts in office, I directed Secretary of Defense Jim Mattis to conduct a Nuclear Posture Review (NPR). After a year of thorough analysis and careful deliberations across our government, today, my Administration is announcing the conclusions of this review. These conclusions are grounded in a realistic assessment of the global security environment, the need to deter the use of the most destructive weapons on earth, and our Nations long-standing commitment to nuclear non-proliferation. Over the past decade, despite United States efforts to reduce the roles and numbers of nuclear weapons, other nuclear nations grew their stockpiles, increased the prominence of nuclear weapons in their security strategies, and - in some cases - pursued the development of new nuclear capabilities to threaten other nations. Meanwhile, successive United States administrations deferred much-needed modernization of our nuclear weapons, infrastructure, and delivery systems. The 2018 NPR addresses these challenges. It describes the roles nuclear weapons play in our national security strategy. The strategy is tailored and flexible to address the wide array of threats in the 21st century. It pursues modernization of our nuclear command, control, and communications, all three legs of our triad, our dual capable aircraft, and our nuclear infrastructure. 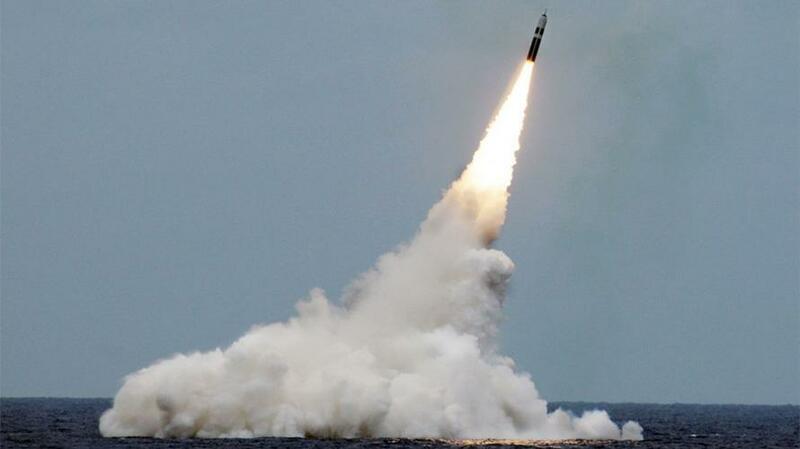 The strategy develops capabilities aimed at making use of nuclear weapons less likely. It enhances deterrence of strategic attacks against our Nation, and our allies and partners, that may not come in the form of nuclear weapons. And, importantly, it reaffirms our commitment to arms control and nuclear non-proliferation, maintains the moratorium on nuclear testing, and commits to improving efforts to prevent, detect, and respond to nuclear terrorism.